Personal coaches are at the core of the IDF Design League program. They make finding the path to what you want to achieve easier while helping you stay on track every step of the way. Choose your own personal coach from our handpicked selection of them, all of whom are experts in design and have many years of experience and skillsets that make them ideal guides on the road to success. Antonio De Pasquale is an Associate Creative Director and Information Architect in Frog specializing in digital user experience. He believes that designing the interaction is the most important part in communication and is fascinated by how you can communicate through movement and gestures. Local Leader and Coach of IDF LimaI am Local Leader of IDF and currently part of the IDF Design League as a coach to help more spanish speakers (only) to learn more about this discipline and training in it.I am a Strategic Design Professional, Service Design, Design Thinking and innovation oriented conceptualization of new products and services on the basis and cornerstone, the needs of users and innovation.My experience has allowed me to supplement my knowledge with methodologies such as Design thinking and co-creation that have applied throughout my career I have done work in the areas of information architecture, user research, usability analysis and evaluation Web and digital business consultancy.I participated in creating online strategies to optimize the user experience and enhance business objectives of major institutions, either as part of a team or in charge of a team of design, layout and development and whose success is guaranteed by companies with which I have worked.In parallel, I am dedicated to teaching and mentoring of new UX design professionals in one of the most prestigious institutions in Peru. Likewise, I am dedicated to workshops, lectures and courses for both public interested in the topic and companies who want to learn more about this discipline.I edit the same www.bitacoraux.com blog space where I share my experience and my thoughts on UX, CX, innovation and digital business. 22 years design thinking experience in telecom, market data research, banking, education, and agriculture. I manage a global design team and a UX education center. I love international clients and am looking forward to helping you! An IDF Design League membership will help you advance your UX career in the best way possible, tailored to your level of expertise. Are you just starting your career or switching from another field? Or does your work require a solid understanding of UX matters? Learn essential knowledge by taking instructor-led IDF courses. Learn professional tools and techniques by executing design tasks in IDF projects and challenges. Do you already have essential knowledge and considerable hands-on experience with UX design and research? Study standard design practices and deliverables under the guidance of your coach. Complete and describe UX design projects. Do you have many years of experience in a variety of UX design endeavors? Are you ready to take full responsibility for yourself and others in any project? Can you contribute to the community? Author professional articles and speak at conferences. Assist in guiding junior members of the IDF Design League. Apply your expertise in IDF design projects.  Start your personal UX coaching experience by joining the IDF Design League today. Have more questions? Find out more in our frequently asked questions or contact us! Your IDF Design League coach will guide you, help you keep on track, and give useful insights. With the help of your coach, draw a path to your UX career goals by planning relevant activities to engage in and courses to take. Take courses, participate in Local Group meet-ups, and chat with your coach. Move your career forward with your coach and the entire IDF community. Have questions about the IDF Design League? Supercharge your UX career advancement now!